Younger farmers on family farms are more willing to accept outside investment and even ownership, whereas older producers are wary of this type of equity and would rather pursue niche markets, a new study has found. The study features interviews with 12 producers from Queensland and northern NSW and 13 agricultural investment professionals from Queensland, NSW and Victoria. The farmers interviewed include five that have experience with raising capital or who had started to and seven who were trialling different types of horticulture as a way of testing how to finance a new venture. 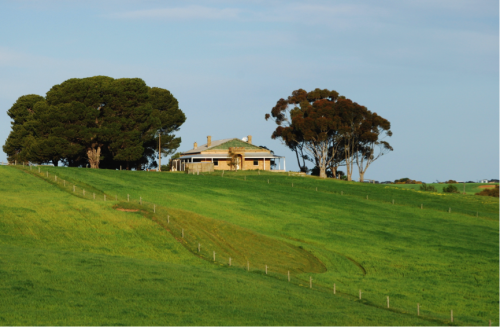 The most common scenario in Australia for farm investment at the moment is an outright purchase of a folio of properties operated by employed farm managers. This is because farmers are unwilling to share their land. The study shows there is an emerging class of investor that is looking more closely at investment arrangements with family farms as an option to outright acquisition. They were also less willing to satisfy the financial reporting requirements from outside investors. Admittedly this is not easy. For farmers to secure local or foreign off-farm investment, they need to produce business plans which look ahead as far as 10 years and be prepared to commit to a rigorous reporting process. There are also potential impacts of working with an outside investor including: the dilution of returns, potential loss of control and the complexity associated with dealing with a third party. In most cases operational control of the business remains with the producer while the investor is involved in strategic decisions, regardless of whether the investor owns more or less than 50% of the business. Overall, farmers in the study seem keen to look at alternative capital-raising, but they had little or no understanding of the process involved in pitching their farm business to a prospective partner. This seems a shame, because investors are willing to listen. Many are looking to diversify their portfolio by adding some Australian agricultural investments to the mix to supplement their interests in other sectors or countries. Investors can offer family farm businesses the skills to access new markets, as well as adding to their own business portfolio. Farmers seek out investment partners who value their skills, but do not seek to micro-manage; they do, however, recognise the importance of more frequent reporting at key times like harvest to keep their investment partners up to date. Like producers, investors chase an increase in land values of around 5-7% and a cash return of 4-5%, and private investors are sometimes prepared to accept a lower level of return than institutional investors. Other investors may have different business goals such as securing a supply line to their profitable overseas business operations and may be prepared to accept a lower return on investment if satisfies a strategic objective. And unlike banks, investors want a stake in the profit but can also weather a loss on the venture. Investment advisers from the study indicated that family farms also need to target the right type of investment partner because different investors will want to spend different amounts. For example, private investors tend to seek a spend between A$3 to A$20 million, smaller institutional investors have a minimum range of A$25 to A$50 million and large institutions like superannuation funds generally want to invest a minimum of A$100 to A$150 million on a property or aggregation. Younger farmers with a strong business mindset are no longer constrained by family equity in the farm and bank lending policies. This study shows they are willing to take the opportunities to grow their farms exponentially, respond quickly to market opportunities and work with strategic partners.